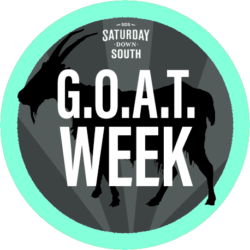 Welcome to G.O.A.T. Week at Saturday Down South. Join us as we go deep with some of the “Greatest of All-Time” from SEC football history, including Bear Bryant, Herschel, the best starting lineup, the Head Ball Coach and more. Before everybody bolts to the comments section, a disclaimer: You’re right, too. When the task is selecting the best players from the best conference, there are no wrong answers. There are fourth-stringers on the SEC’s G.O.A.T team who are in the College or Pro Football Hall of Fame, for Saban’s sake. But there can only be one starter. With that in mind, our staff set out to select the SEC’s greatest starting lineup of all-time, based entirely on what they accomplished in the SEC. Votes were calculated, but unanimous elections were few and far between. There is some recency bias, most notably on offense. Given how the game has evolved and grown and how the SEC has dominated this century, how could there not be? But there also are legends of the 1900s who would be just as unstoppable today. This wasn’t unanimous. Blame me for that. I voted for Danny Wuerffel, the superior pure passer and conductor of the SEC’s most prolific offense, the first to top 500 points in a season. The 1996 Gators still hold the SEC record for scoring average (46.6 points), topping the mark they set the previous year (45.5). So, yes, I’m fine with Wuerffel leading whatever kind of scheme you want to run. But the majority of our staff chose Tebow, and there’s no denying his greatness, either. Like Wuerffel, Tebow won a Heisman Trophy and a national championship (two, actually). Tebow’s Gators also set SEC records, scoring 611 points in 2008, passing (among others) Wuerffel and Co.’s total of 559 in 1996. A decade later, no other SEC team has reached 600. In 2018, we’re not relying on two-back sets. We want one guy, and, really, there’s only one choice. While many on this team are much younger, Walker’s greatness stands the test of time. His numbers are beyond reproach. Walker’s career rushing total — 5,259, one of the SEC’s magic numbers — might be the conference’s most unbreakable record. He was so far ahead of his time that even now, when he stands on the sideline among Georgia’s running backs, he’s still the most physically imposing person in the photo — without pads. 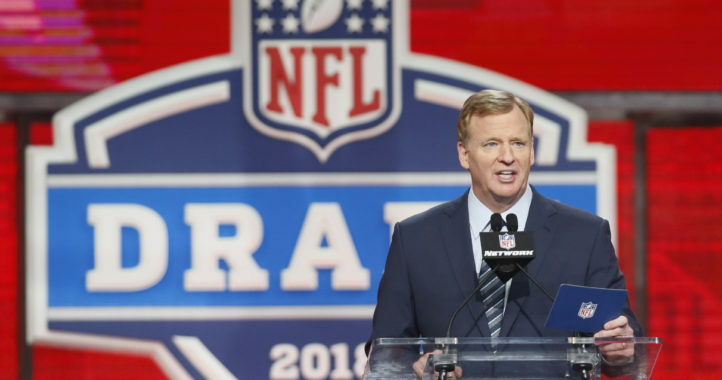 His selection was unanimous and required the least discussion, even though that sent Hall of Famers Bo Jackson and Emmitt Smith to the sideline, along with Heisman Trophy winners Mark Ingram and Derrick Henry and unstoppable forces like Darren McFadden and Leonard Fournette. My goodness, has the SEC turned out some running backs. We have two receivers in the lineup, with an option to use a third or a second running back. This position was the most controversial, but Jones led the voting and was a clear WR1. A cornerstone recruit in Nick Saban’s program-changing 2008 class, Jones fueled Alabama’s rise. He created the blueprint for the great Alabama receivers who followed, and he flourished in an offense that never thought pass-first. So while others have greater numbers, nobody had a greater impact on Alabama becoming Alabama. Cooper did it all. Whatever bar Jones set, Cooper cleared. He also won a national title. And in 2014, he set the SEC record with 124 receptions, finishing with 1,724 yards — just 14 shy of setting that mark, too. He left with 3,463 receiving yards — second all-time in the league and the most in a 3-year career. He shares the career record with 31 touchdown receptions. Cooper’s inclusion, however, pushed some of the SEC’s greatest to the bench. No other position received as many votes. Vanderbilt’s Jordan Matthews set SEC records. LSU’s Josh Reed was unstoppable. Georgia’s A.J. Green was seen as Jones’ equal, even if his team wasn’t. And Alshon Jeffery was the best offensive player on Steve Spurrier’s best South Carolina teams. Others received votes, but in this wide-open era where seam routes are more important than seal blocks, no tight end made bigger plays in the passing game than Henry, the 2015 Mackey Award winner. Recency bias perhaps contributed to Henry edging former Hog D.J. Williams, who also won the Mackey Award. But Williams played one more year than Henry, which obviously contributed to the numerical advantages in catches (152-116), yards (1,855-1,661) and TD catches (10-9). Had Henry stayed, he’d lead all three, by a comfortable margin. There were numerous nominees and qualified candidates, but Samuels earned the nod. A consensus All-American, Samuels won the coveted Outland Trophy in 1999, capping a career in which he never allowed a sack. A rare throwback on this team, Hannah frequently is in the conversation for the SEC’s greatest linemen. It’s not all nostalgia, either. Hannah starred for Bear Bryant from 1970-72, twice earning All-America honors. Every conversation about Tide linemen starts with Hannah, who was inducted into the College Football Hall of Fame in 1999. If you’re looking for a tiebreaker, consider Bryant often called Hannah his greatest lineman. Sports Illustrated took it a step further. Six SEC players have won the Rimington Award since 2000. Pouncey did so in 2009. He was Tebow’s center, the perfect punisher/protector in today’s spread attack. NFL success doesn’t matter in this discussion, but there’s a reason Pouncey was a first-round pick in 2010. Jones anchored Alabama’s line and could start anywhere. He enjoyed team success — three national championships — and individual accolades. He won the Outland Trophy in 2011 and Rimington Trophy in 2012, which goes to the best center. Because he could and did play anywhere, we’re sliding him to right guard. The tackle position was tightly contested. Smith’s greatest challenge came from Michael Oher, whom he edged to win the 2008 Outland Trophy. Both were consensus All-Americans in 2008, too. Oher helped revitalize Ole Miss football after Ed Orgeron’s 10-25 tenure. Smith walked into a better situation at Alabama, but much like Julio Jones did with the skill players, Smith helped re-establish the standard for Tide offensive linemen. Nobody would blame you if you wanted to use this spot for a position-specific star. We considered Heisman Trophy winners Bo Jackson and Derrick Henry, and others like Darren McFadden or Kevin Faulk. Who wouldn’t want to run a jet sweep with Odell Beckham Jr.? It’s virtually impossible to mess up this position. But Harvin was a one-man band, the most ideally suited to doing damage outside or in the backfield. He didn’t win a Heisman, but he was Florida’s most versatile weapon on two national championship teams. Nobody else had a game with 100 yards rushing and receiving. Scariest thought? As forward-thinking and innovative as Urban Meyer’s offenses were from 2006-08, Harvin might be even better in today’s SEC than he was then. As young and spread-friendly as the Offensive G.O.A.T. unit is, the defense has a very old-school feel to it. This league has always been about physicality, and the defensive players specialized in bringing the pain. In keeping with modern trends, we have a hybrid edge rusher who would have been just as comfortable with his hand in the dirt in a 4-3 or upright and outside in a 3-4. White set the standard for defensive linemen, earning the nickname the Minister of Defense while still in Knoxville. He set the Vols’ career mark with 32 sacks, but he was equally destructive against the run. He thrived in the golden age of running backs, too, taking on Heisman winners Herschel Walker and Bo Jackson in the SEC, and stars like Marcus Allen outside of it. White was named the 1983 SEC Player of the Year, the first time since Jake Scott in 1968 that a defensive player won the award. Dorsey anchored the Tigers’ 2007 BCS championship team, earning SEC Defensive POY honors along the way. As dominant as Alabama’s defensive fronts have been, Dorsey was the tone-setter in Baton Rouge. He was so dominant he finished in the top 10 in Heisman voting in 2007. Few had a more decorated career than Pollack, who left Athens as the Bulldogs’ all-time leader in sacks (36.0). Pollack was the last defensive player to win SEC Player of the Year, doing so in 2002. In 2003, the SEC split the award, creating an Offensive POY and Defensive POY. Pollack won the Defensive POY award in 2004 and is on the 2019 ballot for the College Football Hall of Fame. He delivered The Hit Heard ‘Round The World, but Clowney was an unstoppable force long before that. He had 13.0 sacks as a sophomore — only two SEC players had more in the past 10 seasons. He was the frontman during South Carolina’s greatest three-year stretch in program history and one of just four SEC defenders to be chosen No. 1 overall in the NFL Draft. Thomas, the SEC’s career sack leader with 52.0, might be even more ferocious coming off the edge than Clowney, but his speed and athleticism make him the perfect outside linebacker to combat a modern offense. Don’t believe us? Joe Kines, his defensive coordinator at Alabama told AL.com a great story about how Thomas was so fast in coverage he nearly cost the Tide a win over Ohio State. What didn’t Willis accomplish in Oxford? He was 2-time All-American, the 2006 SEC Defensive POY who also won the Butkus Award and Lambert Trophy. Given the Rebels’ lack of success, the casual fan might not have paid much attention to him, but he twice led the SEC in tackles. Willis appeared on the College Football Hall of Fame ballot for the first time last June and is back on the 2019 ballot. It’s only a matter of time. The stories of Wilson’s hitting are legendary. No wonder Vols coaches sometimes held him out of two-on-one practice drills. Wilson spent three years in Peyton Manning’s shadow but became the unquestioned leader who drove the Vols to a perfect record and surprising national championship in 1998. He was a one-man hype video before they were a thing. Peterson was so dominant teams just stopped challenging him, which goes a long way toward explaining why he only had 7 career interceptions. But there was no escaping his greatness. He won just about every award a defensive back can in 2010, including the Bednarik and Thorpe. He not only was the SEC’s Defensive POY, he ran away with the league’s Special Teams POY, too. It’s impossible to upstage Herschel Walker in Georgia. And Bailey didn’t have the football in his hands often enough to do that, but my, oh, my, when he did … A lockdown defender by trade, Bailey also starred on offense, one of the sport’s last great, legitimate two-way standouts. The youngest non-specialist on the G.O.A.T. team, Fitzpatrick was a ball-hawking throwback capable of playing anywhere in the secondary. In fact, he often did, based on scheme or teammates’ availability. Alabama’s defense was most vulnerable when Fitzpatrick was on the sideline. Berry was a two-time All-American who also won the Jim Thorpe Award as the nation’s top defensive back in 2009. He picked off 14 passes in his career, but he was a punishing and will tackler, too. He led all SEC defensive backs with 87 tackles in 2009. Berry remains the SEC’s leader in career yards after an interception with 494. Lost in the details of Alabama’s decade of dominance has been the Tide’s manhandling of special teams. Nobody was more impactful than Scott, who flipped the field with regularity, making it that much more difficult to go the distance against Saban’s defense. Half of his 54 punts last season landed inside the opponent’s 20. In the most recent championship game alone, Scott’s first two punts sailed 50+ yards, and his third punt pinned Georgia at its 5. He added a 50-yarder and later pinned Georgia inside its 10. He set the Alabama record for career punting average (45.6 yards). Carlson won more awards than we have time to explain, but among his most impressive accomplishments: He set the SEC record with 92 field goals, and his 13-for-21 effort on 50-yarders is the second-highest percentage in NCAA history. The final roster spot was a contested one, as well. I’m the staff’s graybeard. I voted for Tennessee’s Willie Gault, the world-class sprinter who set the SEC single-season (3) and career (4) records for kickoff returns for a touchdown. Javier Arenas was a game-changer for Alabama, returning an SEC-record 7 punts for touchdowns in his career. Christian Kirk just spent the past three years terrorizing special teams who dared kick to him. But there’s no denying James’ greatness. On teams that featured Harvin and Tebow, punting or kicking off to James was pure hold-your-breath-and-hope. James holds the SEC record for most return yards (4,089) and is tied for fifth with 5 returns for touchdowns. Another case, perhaps, of recency bias, but Saban has dominated a league that also featured two rivals we considered for this nod: Steve Spurrier and Urban Meyer. Moreover, he’s done so at two SEC schools. And, of course, after matching Bear Bryant’s six national championships, Saban has shown no signs of slowing down. Some will argue that Saban isn’t even Alabama’s G.O.A.T. We understand. It’s the SEC. Peyton Manning, Bo Jackson, Emmitt Smith, Tim Couch, Cam Newton, Myles Garrett, etc., etc., were plenty great, too. The idea of picking Tebow over Peyton Manning just makes me nauseous….yet it’s not wrong though. It is an opinion. Opinions are neither right nor wrong, they are just opinions. That is the reason for the opening sentence in this article. I suspect that the “recency bias” has more to do with the age of the reviewers than the evolution of the game as claimed. It is easier to acknowledge the greatness of someone that you have seen play than one that you have just read about. This list is based purely on college stats, not actual ability at any given position. I can live with it, but everyone knows that Peyton was and is the better QB. I was sort of thinking the same thing. I mean I figured it was my TN bias on that. I think the only real knock on Peyton is in high pressure situations he tends to fold more than shine. I could see him, Danny, or Scam all up there though. I hate to say it but if I had to bet on it I’d put Cam Newton at Qb. Im letting my thoughts of Manning’s pro career influence my opinion though. Tebow’s college numbers are just sick, way better than even Cam Newton who played similar to Tebow. Can’t not pick Tebow for a college team. NFL is a completely different story. I obviously hate cam, and I rather like Tebow. However if I was picking a team for college QB’s based on talent, I’d go with cam. IMO Tebow had a way better team (and offensive staff) than Cam had. Cam had a great defense to help him out which Tebow had. Where there difference comes is the offensive weapons that Tebow had compared to cam. Love manning but wuerffel was as dominant a college QB in that spurrier offense as I have ever seen. Would be fun to see how manning would have fared in it. Also I’d personally take A.J. Green or Joey Kent over Cooper but that’s just my opinion. Subjective lists like this are fun to debate and ponder over. Joey Kent LOL. There are so many SEC WR’s with more cred than him that it isn’t even worth arguing. Amari Cooper 3 year total: 228 catches 3463 yards 31 touchdowns. Cooper should be the top receiver on the team. Period. He played for champions and was a huge part of the offense. He produced more than anyone else by far. Coop also had a running back throwing him the football. Yeah but that running back would target him about 20 times a game. And Cooper did the best with it. There are arguments both ways. That’s why this list is just an opinion. Your views and mine are just opinions. Henry won the Mackey. Engram was a first round draft pick. Engram was a much better receiver although Henry was a good receiver. Henry was a much better blocker although, contrary to what some who really haven’t watched him may want to believe, Engram was a good blocker. Some like apples, some like oranges and some like mangos. ok, that ended up in the wrong place but you can figure out where it goes. The only real issue I have is Tyrann Mathieu not being on the list. We’ll just assume he’s the nickelback in the GOAT sub package. And what case could you make for him ahead of Fitzpatrick or Berry? None whatsoever. If Mathieu had played another year or two maybe you could make that case, but I’d argue that in his short playing career at LSU he’s not even third right now. Those kicked off the team have no place on any list of “the best”, especially when they weren’t nearly as good as the two names selected at their position. Good list. Not a clunker on it. My UGA bias might opt for Jake Scott or Kevin Butler, but in part because both of those had stellar NFL careers. That’s the difficulty with a list this good – most of the guys were in the NFL and the lines get blurred over time. I can’t believe you picked Amari Cooper over Jordan Mathews. My gosh Matthews broke many SEC and school records and is the best player to ever play at a Vandy. 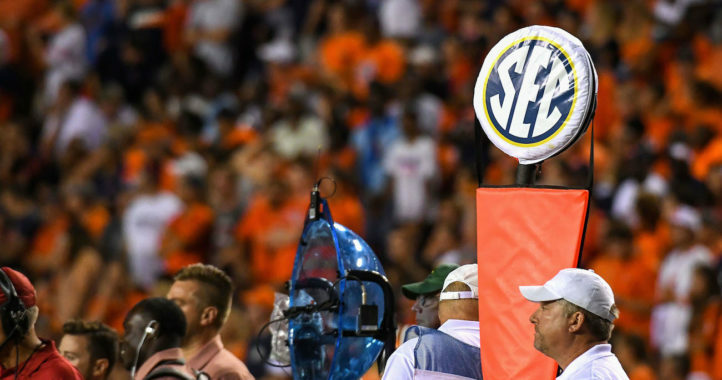 Yes, SEC records that stood for all of one year. I’ll let you guess who broke them. Mathews’ SEC record still stands; SEC all-time leading receiver. Just for perspective, 300 more yards than Cooper and 1100 more than Jones from the selections above. It’s a valid argument considering the DB talent playing during his time assigned to contain him as the #1 receiver. What’s crazy is cooper played a year less than matthews. LOL 300 more yards and he played a full year longer. No one gives a damn about someone that padded his stats in blowout loss after blowout loss. Cooper, on the other hand, was on the sidelines (or blocking every play) with Alabama routinely up by 30 in the 3rd quarter. Blow loss after blowout loss? They went to 3 bowl games his final 3 years. I know Bama won championships but when Matthews played, they didn’t get blow out except by Bama and Georgia one time each. Don’t talk about padding his stats in blow out losses, he went 24-15 his final 3 years which is impossible to do at Vandy (having a winning record). Also he had Jordan Rogers and Austin Carter-Samuels as his QBs. Not exactly the most elite talent at the QB position. 15 catches his entire freshman year for 181 yard on a 2-10 team so obviously he wasn’t a starter, but it’s still playing experience. Even without those yards he’s still the leading receiver. No reason he shouldn’t be in the conversation. Like GoBlue22 noted he played in 3 bowl games, two of which came during 9-4 seasons. Oh, so Matthews wasn’t good enough to start (as a freshman, for a typically awful 2-10 Vanderbilt team) and we’re supposed to consider that a POSITIVE? Amari Cooper almost immediately became the go to receiver for the defending national champions his true freshman year, and was first team All-America in his final season, as well as SEC player of the year. Cooper made the big catch to seal the SECCG game over Georgia that season, and torched Notre Dame in the National championship game. Cooper was then the #4 pick in the entire draft. There is no comparison whatsoever. You’ve somehow made this into a comparison of Mathews and Cooper. My Argument is that Mathews has earned the right to be discussed thru the yards gained (which weren’t accrued during garbage time) and success of the teams he was on (which didn’t suffer blowout after blowout loss as you put it). You’re both naïve and disingenuous at the same time. LOL, Amari Cooper owns every record in the book, and played for champions, and you want to know why he was chosen over someone from wretched Vanderbilt? Doug Atkins- Tennessee GOAT regardless of position! A man among boys! Good list. Herschel was awesome. I always enjoyed watching Champ Bailey, what a player. JK Scott, what a weapon at punter. And Reggie White knocking Boomer out of the game is just classic SEC. Embarrassment of riches. Too many great players at every position to say one may have been greater than another. A couple are clear but most are not. Evan engram lined up in the slot 90% of the time. He didn’t block. At all. And the lack a Mackey award eliminates him from contention. Ole Miss fans don’t like Hunter Henry. 4th and 25 has a lot to do with it. So we should go by award winners? If you want to go by blocking that’s your best argument. Not to mention several mackey award winners were more receiving TEs. I mean the Tight End position isn’t judged purely on who put up more receiving numbers. tight Ends have a much larger impact on the game than that. Engram may have been a slightly better pass catcher, he paled in comparison as a blocker making Henry the all around better tight end. While there is plenty of argument for Henry over Engram, your statement “He didn’t block. At all.” is just plain wrong. It is very easy to find Engram blocking highlights on the internet. You will learn that he was a very good blocker for his size. The two played in different styles of offense so it is difficult to compare, which is the major flaw with this type of list. And by the way, despite my obvious Ole Miss bias and Engram being one of my favorite all time rebels, in my opinion the greatest Tight End that I have ever watched play the college game was from the SEC and hung himself in a jail cell in Massachusetts. A little biased but I would take A.J. Green over Amari. I gotta agree, I was very surprised that Cooper was there instead of Green. Cooper is great for sure but Green is another level in my opinion compared to Cooper. Cooper had a running back throwing him the ball as well. Feel free to explain why. Cooper produced more (by far) and played for far better teams. because they threw him the ball 90 times a game. Kiffin’s game plan was run, run, pass to cooper, screen to cooper, run, deep shot to cooper, repeat. Strange, I didn’t see much of Lane on the sidelines in 2012, when Cooper blew up your Dawgs in the SECCG, or in 2013 either. Are you telling us that AJ Green was an afterthought in Georgia’s offense? AJ also had his stats affected by that stupid suspension and some injuries. I think if you’re going on who was more dynamic you have to agree AJ. If you want to go by who had better stats, then yea take Amari. Anyone over Kevin Butler at placekicker is a ridiculously bad selection. I obviously won’t complain much about the # of Bama guys, but how do you pick anyone ahead of Johnathan Allen? He played for champions and won every award you could win in 2016? “played for champions” isn’t a valid argument when it comes to a players personal worthiness on this list based on individual skill and production. He’s up near the top for sure but not above anybody on this list. Allen won virtually every NATIONAL award after his final season, far more decorated than Glenn Dorsey. That’s just not correct. Dorsey became the first and only defensive player to win all four major awards and was a two time first team All American. Allen was great, but he wasn’t as decorated as Dorsey, much less far more. You might want to look him up. Allen didn’t win the Outland or the Lott. Dorsey did. Outside of QB you could argue for an Alabama player at pretty much every other position. One of those little guys that comes in and causes you to nearly kick your TV screen in, when they can’t do the job, time and time again. Andy Pappanastos is a good example. He’ll spend the rest of his life thanking Tua Tagovailoa for literally saving his life. I think Julio Jones’ pro career influenced this a little bit. He was surely one of the most talented guys to ever come through the SEC, both he and AJ Green, but neither produced quite enough individually to be in the top two. I agree with Cooper because he was a standout game-changer every single time he stepped on the field for Bama and has the numbers to prove it. I just don’t know how you could put Julio over a guy like Jordan Matthews from Vandy or Josh Reed from LSU unless you are being influenced by their pro careers. I tend to agree. Obviously as a falcons fan, I’m happy they picked him, but I remember at the time I wasn’t sold on him. He was a great college player, but I think he’s been a better pro than college player. 4 out of 5 offensive lineman from Alabama??? REALLY????? bama bias much?? The author of this article shows his youth… Oh, and Kevin Butler couldn’t hold Daniel Carson’s jock strap. You didn’t read the article did you? I take it you just looked at the names…. Kevin Butler should be up there as at least honorable mention. Matt Stafford has other receivers like Mohammad Massaquoi also, not just A J Green. Terrance Edwards was the best receiver Georgia has ever had, though. As a Gator I would like to see Emmitt on the list, but you certainly can’t argue against Herschel. Emmitt had the misfortune of playing just before Spurrier arrived. It would have been fun to see him in the Fun n Gun. On a side note, the 1982 Gators had 4 first round NFL draft picks at RB on the same team. I don’t think any team has ever done that before or since. Almost certainly not. That’s insane. I threw this out on a different article earlier in the week, but the 1994 UGA squad had two future Super Bowl MVPs sharing carries in the backfield – Terrell Davis and Hines Ward. Jake Scott was also a SB MVP, giving UGA 3 different players to win the award – tied with USC for the most ever.